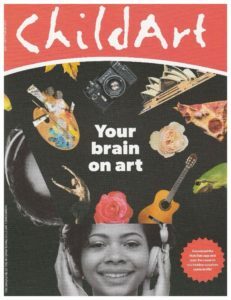 As a member of the team at the International Arts + Mind Lab, I had the opportunity to author several articles for and edit the Summer 2017 issue of Child Art Magazine, which is distributed in more than 6,000 libraries worldwide. In “Your Brain on Art,” I profiled innovative arts, music and architecture programs and projects to demonstrate their impact on health, wellbeing and learning. I also edited the magazine for consistency and accuracy.